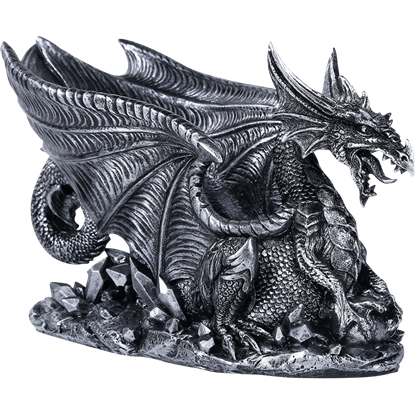 Dragons are known for their temperamental natures, as seen in the design of this unique fantasy accent. 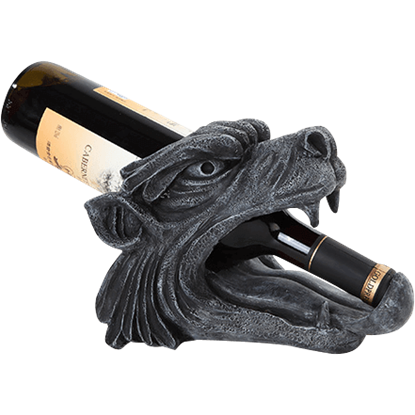 The Dragon Bottle Holder displays a dark dragon letting out a mighty roar while it rests on the floor of its cave. 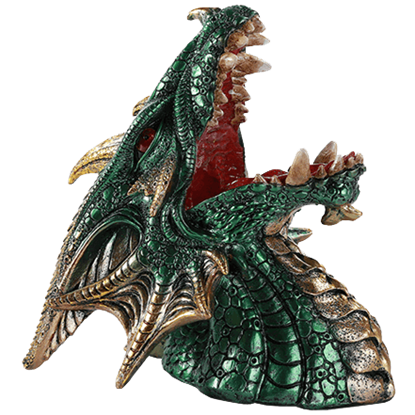 Showcase your vintage of choice within the fiery mouth of this fierce dragon! 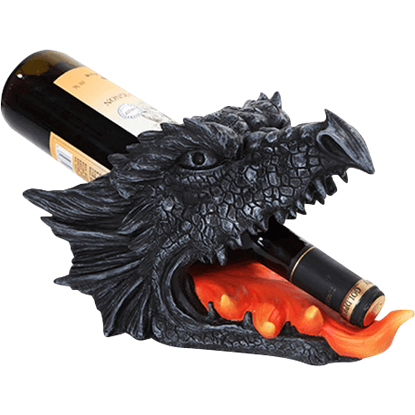 The Dragon Head Wine Holder supports your bottle within its head, resting the top along the tongue of fire emerging from its open maw. 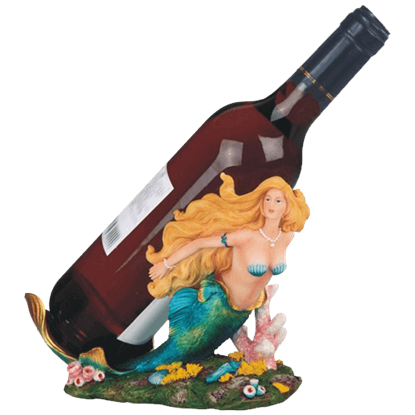 Show off your favorite vintage to your friends and family with this creative bottle display! 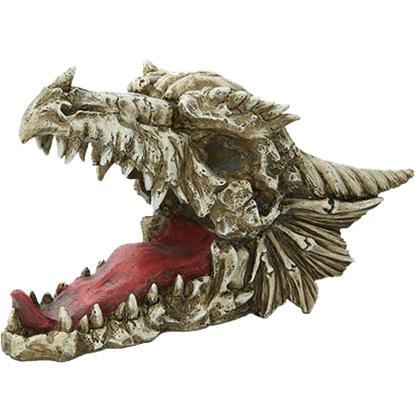 The Dragon Skull Wine Bottle Holder allows you to place a bottle through the top of the skull and rest it on the tongue of the dragon. Golden talons click against the stone floor. The chain rattles as the dragon draws near. 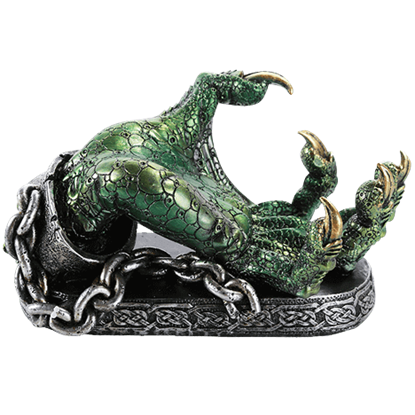 Green scales gleam as the beast reaches out with its claw. 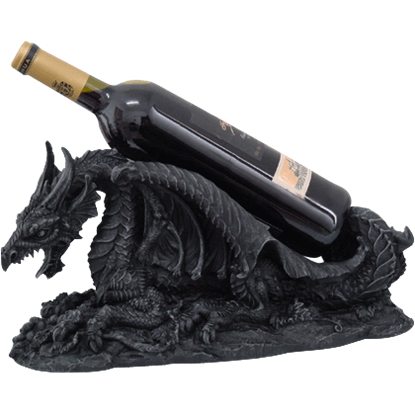 The Green Dragon Claw Wine Holder keeps your favorite beverage securely in place. Observe the sparkling gleam in that red eye. A reptilian jaw opens wide, anticipating a treat. 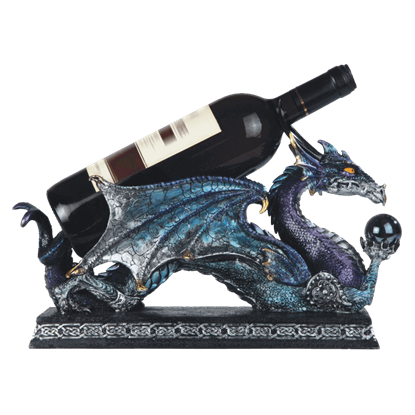 Ever ready to store your favorite beverage, the Green Dragon Wine Holder is a fine piece to add to your medieval fantasy home decor. Does the grim reaper have hunger? Perhaps for souls, but apparently, death itself cannot subsist on souls alone. How do we know? 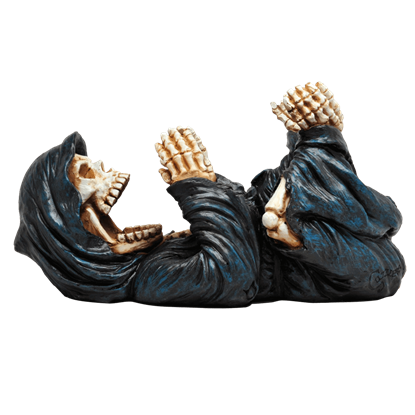 Because this Grim Reaper Guzzler Wine Holder seems all too eager to enjoy a good bottle of wine! Dragons have always been known as greedy creatures, protective of their hoard. 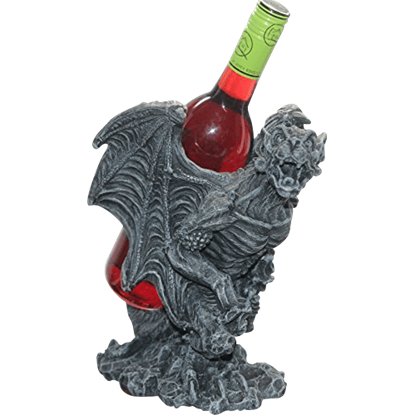 It is no surprise, then, that the fiery beast of the Guardian Dragon Wine Holder has taken a defensive stance over the crystal-like ground he stands on! Octopuses are very intelligent, but they are trapped underwater, where industry and artistic expression are impossible. That is why this octopus needs a drink! 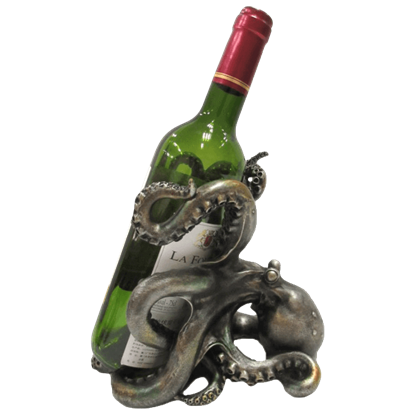 The Octopus Wine Holder cradles your bottles with all eight tentacles.